Whether your hardwood floors are oak, maple, ash, or beech, cleaning them is as safe and simple as it gets. For hardwood floors in the kitchen, wiping up spills promptly is key. Standing water can quickly damage a wood floor's finish. The only other major consideration - and this goes for wood floors in any room in the house - is to keep the surface clear of dirt, sand, and grit, which can act like sandpaper and scratch the floor's finish. 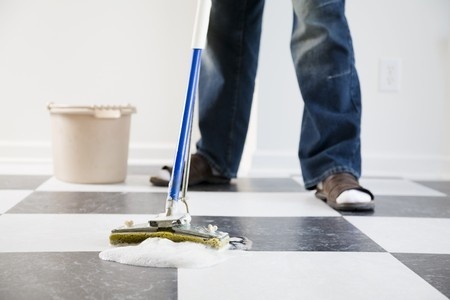 These wood floor cleaning tips can help ensure your floors look lustrous for years to come. 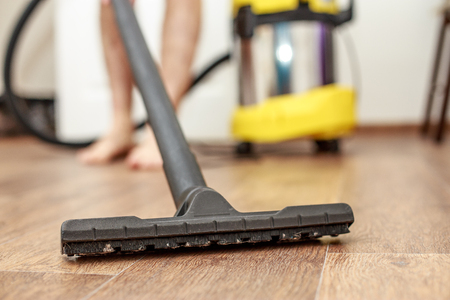 Clean wood floors daily with a broom, vacuum, or dust mop to remove those potential scratch hazards. If your floors get a lot of use, and if they don't have a urethane finish, damp mop weekly with a neutral-pH wood cleaning product, like this Bean & Lily Floor Cleaner. Wring the mop almost dry before mopping. The Bona 4-piece hardwood floor care system is one of the easiest to use for cleaning wood floors with a urethane finish - and among the most effective. Protect flooring in heavy traffic areas with area rugs. Put gliders on chairs, and coasters or felt under all furniture that sits directly on wood floors. Otherwise, the furniture could scratch or dent the wood. Put rubber cups or an area rug under heavy furniture, such as pianos. Vacuum or sweep frequently. Use a soft brush attachment on your vacuum. Grinding in dirt and grime will ruin a finish fast. Choose and use products wisely. Use only the products recommended by the manufacturer. Oil or wax based products or ammonia cleanser could damage the shine on a urethane finish. Avoid sunlight, which can change the color of the flooring. (Cherry gets darker, for example.) Close your blinds or curtains during the day when you're not using the room. Also, move furniture and area rugs around occasionally to avoid uneven coloration.